Hello all! 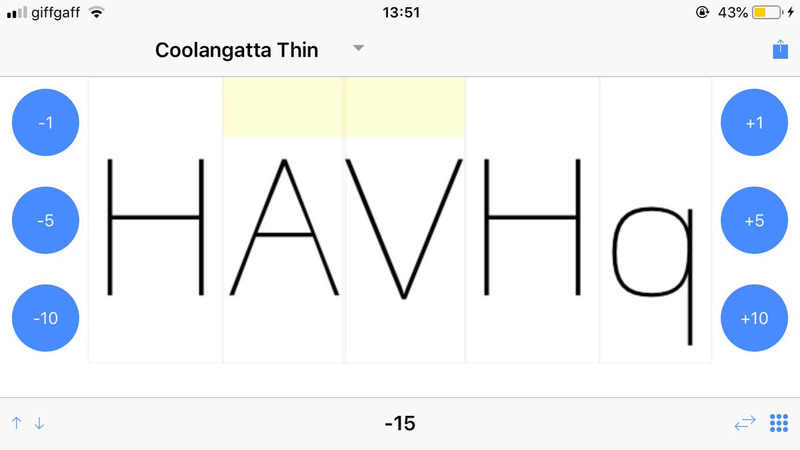 I'm working on two new iOS apps: one is a vector path editor, probably more useful for people who are involved in lettering rather than font creation, but the other is probably more useful for font people. Before I put it live I would be very interested to get feedback from people who are likely to find it useful. If that's you, please send me a message here and I will add you to the beta testers list. Does it support RTL kerning, or Arabic in general? Is it possible to load and store lists of text strings and to cycle through them? Georg also suggest I add Glyphs file support so I am working on that. Android and/or Windows version, please. Does it handle classes? With exceptions? Khaled Hosny: Does it support RTL kerning, or Arabic in general? Hope you successfully try RTL kerning, swashing and across-up-down overlapping as elaborated in the attached QB-English.pdf.